The table above contains provisional data provided by the USGS via the waterservices site. All data are provisional and may be recalculated before final approval. This table may take several seconds to load. Over the past decade, the Klamath Basin has been in the forefront of national attention due to contentious resource issues related to water allocation, water quality, proposed dam removal, and protection and recovery of threatened and endangered species. While many resource issues face the Klamath Basin, water quality remains at the forefront of concern for the Klamath Basin Monitoring Program (KBMP). 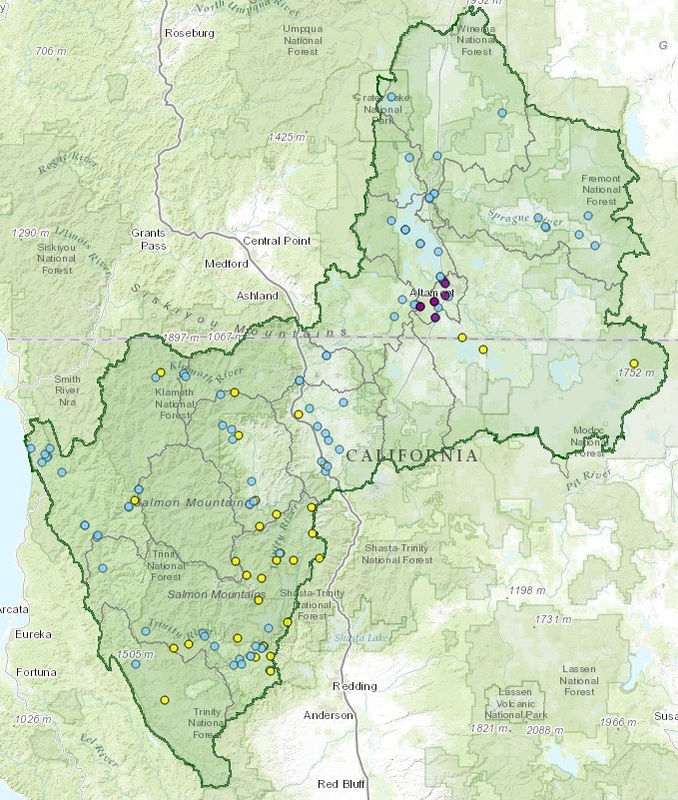 Many diverse and discrete parties conduct monitoring in the Klamath River Basin including state and federal agencies, tribal entities, PacifiCorp, and watershed groups. The Klamath Basin Monitoring Program is comprised of many of these organizations, working together to understand and improve water quality conditions in the Klamath Basin. KBMP strives to implement, coordinate and collaborate on water quality monitoring and research throughout the Klamath Basin. KBMP monitoring activities focus on characterizing sources of impairment through the study of ecosystem elements, including water quality, fish populations and health, flows, benthos, and aquatic plant communities. KBMP monitoring aids the development and implementation of Total Maximum Daily Load (TMDL) plans by monitoring loadings basin wide. KBMP monitoring also informs the public and tribal community of public health concerns. KBMP members host two annual meetings aimed at addressing water quality concerns basin wide. Membership to the KBMP is voluntary, as are the KBMP committees.